Want an authentic of the most authentic Taiwanese cuisine that the country has to offer? Fat Fook is definitely what you're looking for. The fast growing Taiwanes chain, Fat Fook, opened its newest and fifth branch in the heart of Bonifacio Global City in Taguig, The Globe Tower and it was my honor to host its intimate media launch last November 23. 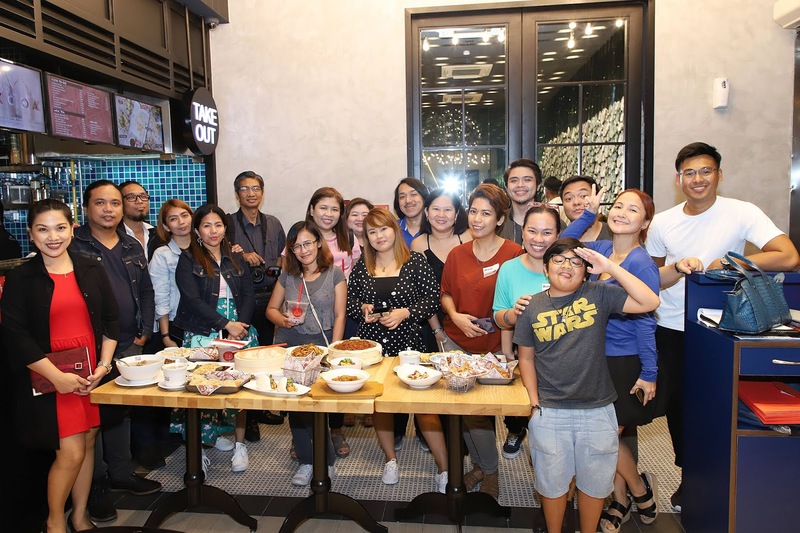 It is the only restaurant in the area of BGC that has a Take-Out counter which is perfect for its target market - the professionals- who are always on the go and don't have enough time to wait a long time for an authentic Taiwanese food to be served. Their Taiwanese Street Food are as authentic as it can get as they are sourced directly from Taiwan and you couldn't get them from anywhere here. The dishes are authentic Taiwanese but adjusted to suit the Filipino millennial palate. The restaurants' ambiance is elegant but all the food in their menu are value-for-money. All dishes are good for sharing of two to three people, so definitely the menu prices are very practical and come in friendly price points. Perfect for large groups of friends or colleagues and families. Their menu has a wide selection of food to suit everyone's taste and preference, from meats, to noodles, dumplings, vegetables, and many more! Definitely there's something for everyone! During the launch, a total of 17 authentic Taiwanese dishes were served to everyone plus 6 new additions to their menu to be launched by December. A real treat for everyone in attendance as we were the firsts to experience some of their newest dishes to be launched. 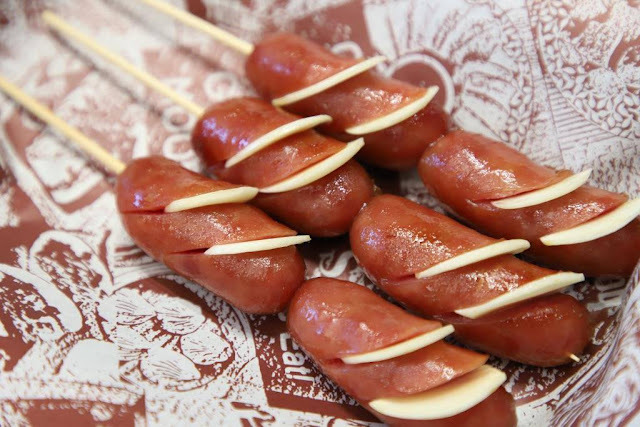 Are skewered pan fired authentic Taiwan sausage garnished with fresh garlic silvers. I like these sausages because the taste in the mouth at first bite is a heavenly mix of sweet, salty, and a little tangy because of the fresh garlic. Garlic is among my favorite ingredients when i cook. It surely gives any food a flavor kick which makes any dish tasty and smell good. I don't mind eating garlic uncooked because I am a fan of it. Plus it's also very good for the heart! This Taiwan Sausage is available at their Take Out counter, so that's a plus! A soup dumpling with the twist of truffle oil served with black vinegar and ginger dip. I have been saying that anything with Truffle is a winner dish for me. What is it about truffle that makes it that sumptuous? 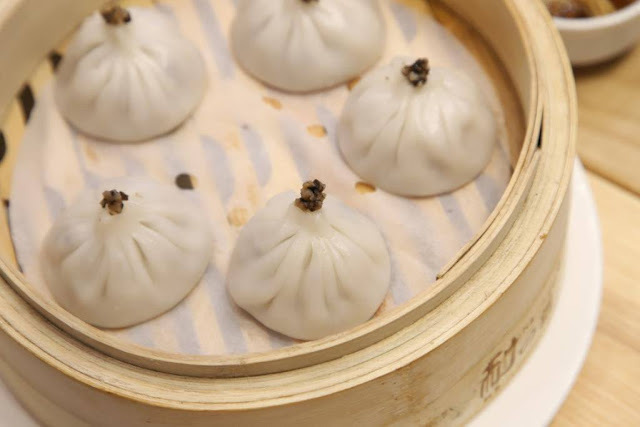 It's like a magic ingredient in this already palatable Xiao Long Bao. Did you know, that Truffle Oil also has a lot of great health benefits for us? Another fact is that Truffle is a type of an underground mushroom used largely in French cuisines to make dishes have a potent and unique flavor. The truffle in the Xiao Long Bao gave this dish a perfect high kick which made it to my top list. A signature dish deep fried breaded chicken fillet with salt and pepper. I love that their chicken chops serving comes in a huge size which they proudly say is larger than your face. I tried to measure it, and yes it surely is big compared to other Chicken Chops in the metro. I love that it's crunchy outside but chicken remains to be tender. And did I say that the seasoning and burst of flavor once in your mouth is just right and you would surely can't stop munching this dish. This is one of their house specialties and why not? Every bite is a representation of the savory Asian flavor. On their new dishes, the chicken chops come in two other variants, Spicy and Cheesy - both popular flavors among the Filipinos. 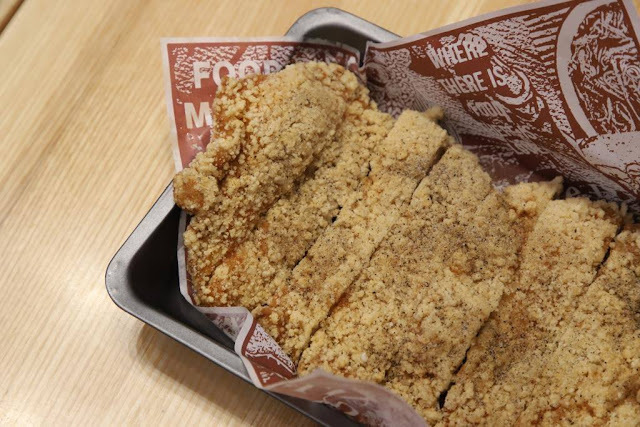 The Chicken Chops are also available in their Take Out counter. Overall, I like my dining experience at Fat Fook at The Globe Tower because its ambiance is definitely fit for those with meticulous interior design tastes, their dishes are all for sharing with is a must for all practical moms like me, their menu prices are value-for-money, food are something unique and you could surely say authentic to Taiwanese taste, plus a designated Take Out counter for some easy and fast to order Taiwanese street food and milk tea (which comes in really large sizes with different sinkers to choose from). A must visit for groups of friends and families too! 32nd Street, Bonifacio Global City, Taguig from Sunday - Saturday, 11AM - 11PM. Like them on their Facebook and IG Accounts: @FatFookManila.